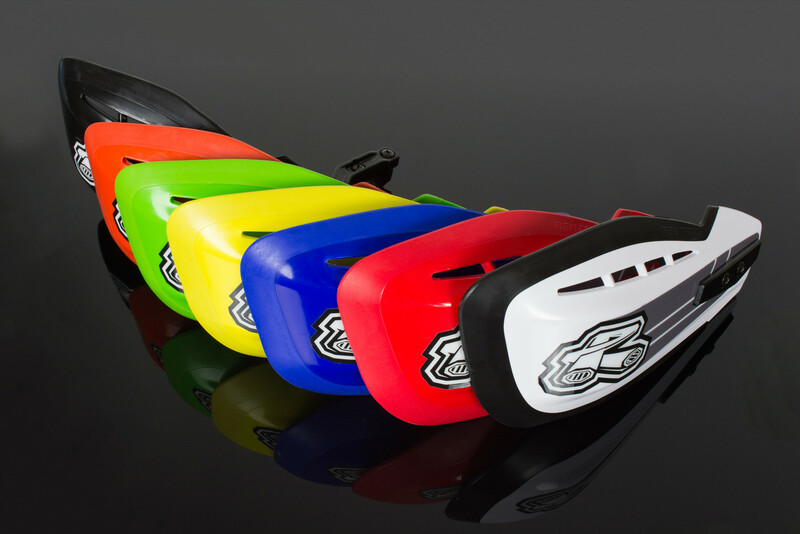 Renthal are pleased to announce the update of the popular Moto Handguard range, which now include seven exciting color ways to match all OE bikes, perfect for personalizing your bike. The new color ways include Honda Red, Yamaha Blue, Suzuki Yellow, Kawasaki Green, KTM Orange, universal Black alongside the existing universal white colour way. 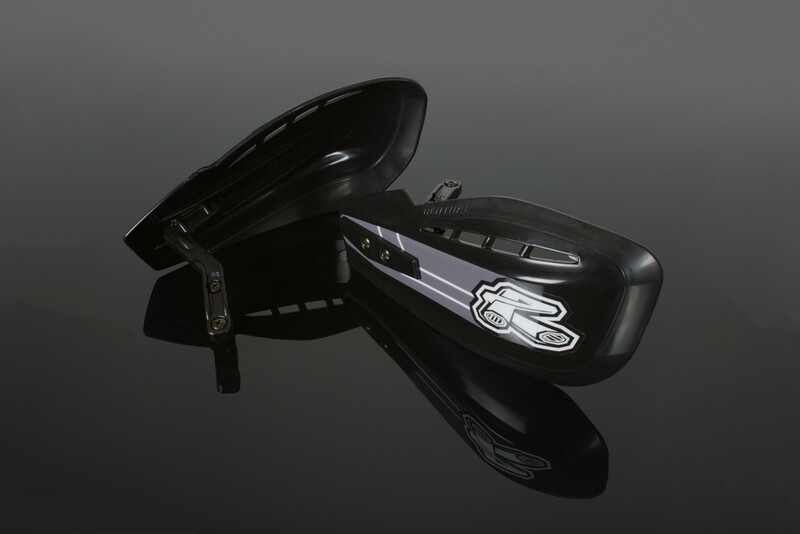 All handguards feature an updated modern decal constructed from the same durable material specified by the top motocross graphics companies. 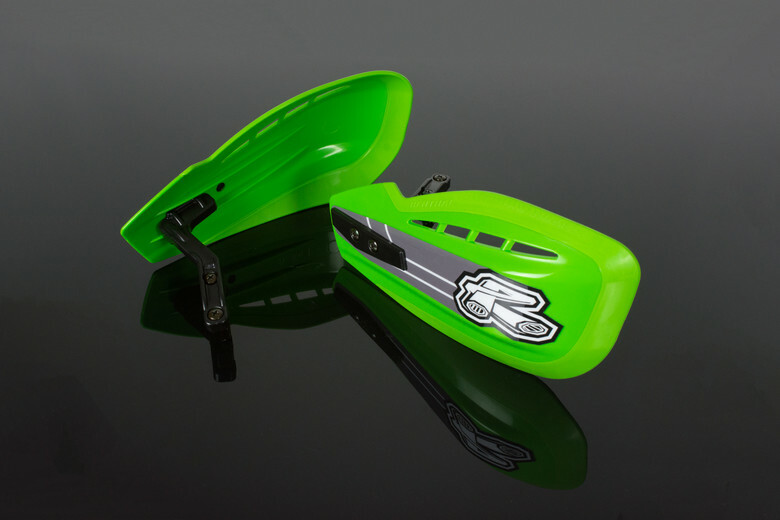 The dual compound design is constructed of a hard plastic at the core to resists impacts from roost and rocks projected at the user helping prevent injury. 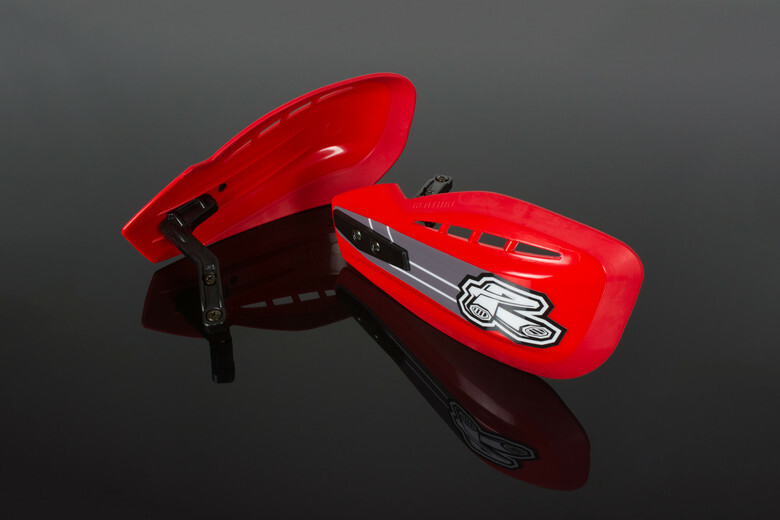 The outer edge is constructed with a flexible synthetic rubber providing a durable edge that deforms under impact, returning to its original shape quickly, ensuring minimal force is applied to the steering should there be an impact with riders, track features or other obstacles. The reinforced hardware provided with every Renthal Moto Handguard set allows the user to mount the handguard in a number of different orientations depending on personal preference and bike setup. 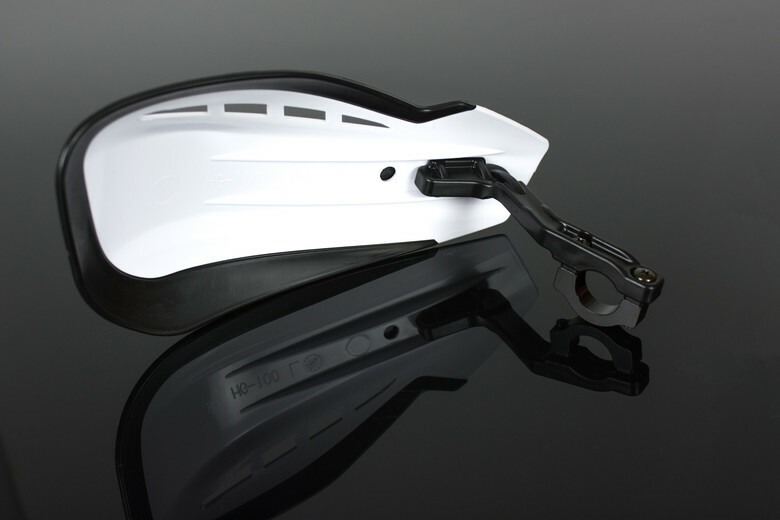 The brackets offer high levels of protection from incoming projectiles whilst also allowing the guard to flex in a crash, this helps to prevent damage to handlebars, controls and the handguards. Visit Renthal.com for more information.